Good morning polished world! How are you all doing today? I'm proud that I'm sticking to this whole Halloween manicure for every post in October. I didn't think I would be able to do it because I didn't plan it out like I usually do and I didn't post a nail art wheel this year, so I figured I would be out of manicures, ideas, and time. I'm finding myself more and more inspired each day. 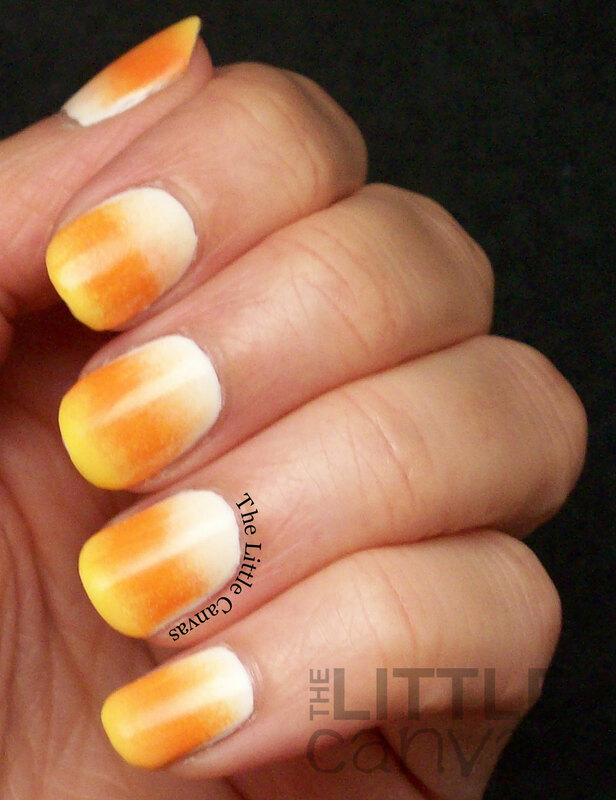 Today I am sharing a candy corn manicure which is one of my favorites to do this time of year! When I first started this blog, I believe I did a candy corn design where I used striping tape. I try to ignore them because they were not my favorite. Then I discovered that nail artists were creating the look using gradients. Ever since I've been hooked. Let's take a look at this years version! Can we take a second and talk about how awesome these FingerPaints colors are?! I've used them a couple of times, but I don't believe I have for a gradient. They are the most opaque polishes ever, meaning I only had to paint the make up brush one time and then dab it on the nail once. It was amazing. No re-apply to the make up brush, no dabbing so much that my cuticle some how ends up flooded and filled with polish. It was a wonderful polishing experience. Everyone needs these. See, look how perfect! I think this is my best attempt ever at this look. Also my nails are a tad longer so I'm really loving that as well. I'm going to have to trim them back though because when they get too long I always end up with a severe break because, well, I'm a klutz. What do you think? Fan of this manicure? 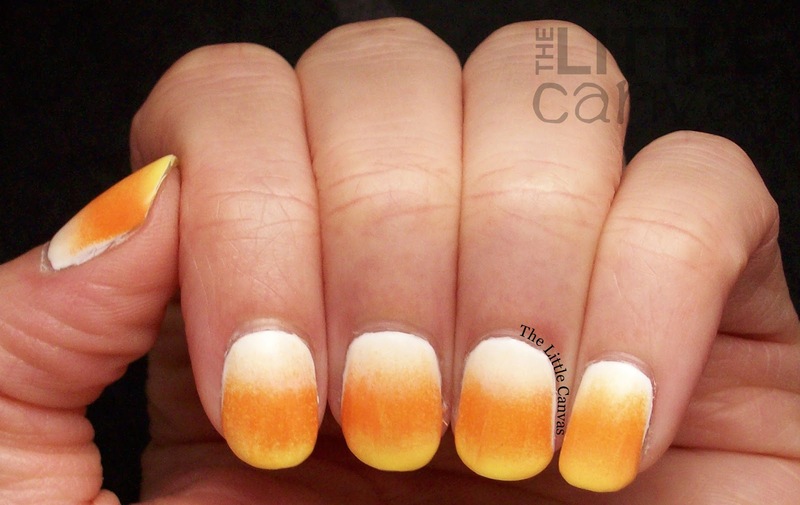 Have you tried the candy corn gradient? 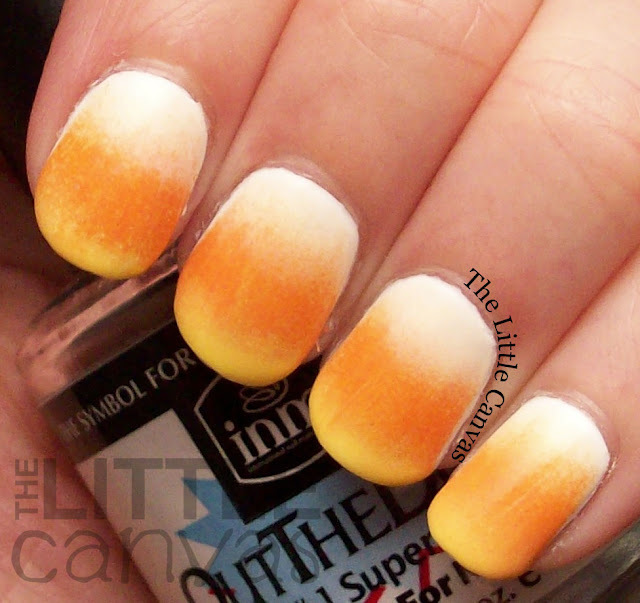 I'll be back this weekend with a Halloween Bestie Twin Nail! Happy Halloween!! - My Last Halloween Manicure! Bestie Twin Nails with Fashion Footing: Round 17!